Starting a business is a huge venture. It’s exciting, daunting, exhausting, and if you do it right – rewarding. Setting up a new office space requires time, effort and organization. Business owners tend to undermine the physical components required to start an office or business, but it’s a critical aspect of starting a business. Office equipment helps to make your day-to-day operations run smoothly. Investing in the right equipment and accessories can save you a lot of time, effort and money. It can help in organizing internal daily tasks and in efficiently running business operations. When setting up a new office space – or even when sprucing up an old one – use this list to keep track of your supplies and any equipment you may need. Desk: perhaps a stand-up desk or table top. A filing cabinet or desk drawers to accompany the desk – depending on the design. An Ergonomic chair: your employees may spend a large portion of their day sitting – and as they say, sitting is the new smoking. Provide your employees with a good quality, ergonomic chair. Throughout your new office, you’ll need to ensure that each space is well-lit with efficient work lighting based on the tasks your team will be completing in each area. Will you be hosting meetings with your clients or potential clients in your office space? Be sure to provide a comfortable client seating area, preferably near the office entrance, as well as a beverage station so they can easily help themselves to coffee, tea or water. A tidy meeting space will surely win over any potential clients and a television is a useful addition to any meeting room. Whiteboards and markers are another office must-have. They will provide your staff with an environment to collaborate and brainstorm. You’ll likely need to furnish the space with desktop computers and monitors, or have your employees provide their own. Printers, scanner, as well as a router and modem are necessary, unless you plan to hardwire each device to connect to the internet. Computer locks may also be useful for your new business and depending on your industry a camera may also be a requirement. Word processing software and virus protection is also something that you should think about as it ensures your employee’s devices will be efficient and they won’t run into any situations where they acquire a virus. Depending on your industry and roles within your new business, you may need to provide telephones and a fax machine within your new business. If your employees won’t be doing much calling externally, or if your hires are mostly young people who own cellphones, you can also use an app like Grasshopper for client calling via Wi-Fi. If it’s in your budget, you may also wish to provide your employees with company phones. Of course, this is dependent on your industry and budget. You should also ensure that your kitchen is fully stocked with coffee, tea, water, as well as small snacks for both your employees and any clients or consultants who may visit your office. The Microfridge is an excellent option for a new office space. Microfridge products include both a microwave and refrigerator, as well as a USB charging station, express cook settings, and programmed cooking options. So, if you’re low on space, this appliance will be the perfect fit for your new office. Seeing the world has never been easier. These travel apps take the frustration out of packing up, speaking out, and finding your way so you can focus on having the time of your life. There are plenty of free packing lists online, but it’s hard to find one that totally fits your needs. That’s the beauty of Packpoint. This app asks for your travel date, destinations, planned activities, and other info about your trip — then uses that to generate a custom packing list. Packpoint accounts for climate, weather forecasts, trip duration, business vs. leisure, and even where you’ll stay (are there laundry facilities?) It takes the guesswork out of packing for any trip, from camping to globetrotting. Map apps are a must for travellers who plan to rent a vehicle. Waze is a navigation app with street smarts. Along with giving directions from point A to B, Waze delivers live updates and alerts about traffic, police, road hazards, and more. When there’s trouble down the road, Waze can re-calculate your route instantaneously. There’s no shortage of navigation apps out there (and most phones come with one), but Waze’s intelligent alerts put it above the competition. Check out the Waze Wiki to see if it’s available in your destination country. There’s something to be said for the adventure of trying a new restaurant blind. But there are times when you want to be sure your eatery of choice can serve your needs and preferences. OpenTable lets you browse thousands of nearby restaurants in the US, Canada, Mexico, UK, Germany, Japan, and more. Once you’ve found one to your liking, you can make a reservation instantly. What sets OpenTable apart from other booking apps is the multitude of filtering options, letting you search by party size, date, time, cuisine, price, or distance away. With so much to do and so little time, you want to make sure your vacation excursions are worth every penny. TripAdvisor (and its adorable mascot Ollie) has been a trustworthy source of travel info for almost two decades, and it’s still the top destination for candid traveller reviews and photos. You can trust your fellow wanderers to provide an honest take on destinations large and small. In addition to reviews, the TripAdvisor mobile app lets you near for interesting places near your current location. It’s a great source of information if you can’t decide what to do next. We’re pretty lucky, you and I. Why? As English speakers, there is seldom a major city on earth where we can’t find help from someone who speaks our language. And if worse comes to worst, SayHi is there to help. SayHi is a translator app that repeats your words in a foreign language of choice, then translates the reply back into English. It’s not a perfect universal translator, but it can help bridge the language gap when you need to give directions or ask questions on your trip. If there’s one thing worse than trying to decipher a bus schedule, it’s doing it in a foreign language. Many travellers avoid public transit because they’re afraid of getting lost. Fortunately, Moovit is helping to change that. Moovit is the world’s top transit app, with over 200 million users in over 2,500 cities all over the world. Travellers can use Moovit to check up-to-date bus and train schedules, transit maps, and bike routes in 44 languages. It empowers you to use transit like a local, saving you time and giving a unique cultural experience in the process. Planning to tour an assisted living community with your family? Kudos for turning the first page onto a new chapter of life. There’s a lot you can do to help your loved one make the best transition possible. Walking into an assisted living community for the first time can feel overwhelming. There’s so much to consider: accommodations, staffing, food, care services – the list goes on. That’s why we’ve put together this assisted living checklist for families to use on their first visit to a new community. These points should help you decide which assisted living community is right for your loved one. Call it environment, atmosphere, or vibes; in any case, these points are about the overall feel of the community. A lot of this has to do with intuition, but there are also a few specific things to look for. Look at the grounds surrounding the community. Consider whether your loved one would feel comfortable sitting outdoors or walking the grounds. The property should be well-landscaped, with clear, safe paths and walkways. Look at the floor of the front entrance, especially if it’s autumn or winter. It should be cleaned at least daily. Look for seasonal décor that shows the community celebrates holidays and marks the passage of time. Wait for a staff member to greet you. If you have an appointment, someone should attend to you promptly. Some communities offer visitors refreshments while they wait; does this one? Feel the temperature inside the building. Is it well-air conditioned in the summer, or sufficiently warm in the winter? Smell the air and take note of any odours, good or bad. Note the atmosphere produced by natural and artificial lighting. Listen for the sounds of liveliness: laughter, music, conversation. You want to hear more than the sound of a television. Different communities cater to individuals requiring varying needs and levels of care. If an assisted living community does not offer all the services your loved one needs, it’s essential that they can either bring a service provider on-site or provide transportation to one outside the community. Your tour will likely include a visit to a vacant suite. Ask yourself: is this a place your loved one can call home? Furnish and decorate the room as they wish? Have a pet living in the suite? Bring food from the dining room into the suite? A kitchenette with Safe Plug® appliances? Emergency call buttons at the bedside and in the bathroom? Telephone, internet and cable service? Smoke and carbon monoxide detectors? Shared space is the heart of an assisted living community. It’s here where your loved one will make connections and spend most of their time during the day. Pay particular attention to rooms that relate to their hobbies and interests. Notice the level of activity. Do the community members use the rooms, or are they only there “for show”? Look for clutter. Do the common areas look neat and tidy? Consider if the outdoor space is useable year-round. Are there shady areas for summer? Any outdoor heaters for winter? Staying active and engaged is essential to your loved one’s health and longevity. The days of leaving people in front of the television are over. Now, reputable assisted living communities offer a variety of recreational activities. Ask to see a schedule of the community’s programming for the next few weeks, or better yet, sit in on an activity and observe. Look for activities that suit your loved one’s abilities and interests. Are there several things they would enjoy? Look for variety. Are there activities to promote wellness, fitness and creativity? Ask about the newest activity on offer. How long ago was it added? Does the community add new activities often? Watch the community members. Are they engaged and interested? Watch the staff members. Are they leading the activity in a respectful and dignifying way? It takes a special kind of person to provide exceptional care. The quality of the staff can make or break an assisted living community; you should have no unanswered questions or lingering doubts about them. Smile and wave at people you pass. Do they smile and wave back? Watch how the staff and community members interact. Does the staff make eye contact and call people by name? Watch how the staff members interact with each other. Is their tone professional and respectful? Look the staff members up and down. Are they professionally-dressed and well-groomed? When you stop and speak to a staff member, ask how long they have worked there. Get answers from several people to glean the staff turnover rate. Ask about the staff-to-community member ratio both during the weekday and on evenings and weekends. Are there enough people to keep everyone safe in the event of an emergency? Ask about the vetting process. What do background checks consist of? Are the staff members required to have any certification? Ask about your loved one’s medical needs. Does the staff have experience with this condition? It’s said that variety is the spice of life, and that is perhaps most true when it comes to meal times. Assisted living communities have come a long way in this regard. Today, many communities have shifted from a cafeteria-style dining room to restaurant-style service, complete with greater choice and better service overall. How often does the kitchen change up the menu? Are snacks and refreshments available as well as breakfast, lunch and dinner? Could guests join your loved one for meals? Does the dining room have assigned seating? Can you inspect the kitchen pantry and refrigerator? Could your loved one bring food from the dining room back to their suite and keep leftovers in their suite refrigerator? Every individual in assisted living has unique needs and circumstances. Regrettably, we cannot possibly create a checklist that covers every medical need; however, we can note some of the most common needs that may arise as your loved one continues to age. Find out how the community helps those who need assistance with the daily activities of living (ADL): getting dressed, bathing, brushing teeth, using the toilet, eating, walking, getting in and out of bed, etc. Ask about security measures. Does someone watch the doors to prevent individuals from wandering outside unattended? Are there lockdown procedures? Ask about meal times. Can they accommodate an individual with special dietary needs? Discuss the community’s medication management policies. Can you loved one take their medication in their apartment if they are able? Print off this checklist and take it with you on your visit. Knowing what to look for and ask about can help to alleviate the stress of visiting an assisted living community for the first time. In the hospitality industry, nothing speaks louder than word-of-mouth. Few hotel guests book a room without first reading customer reviews online. Avoiding negative guest reviews should be a priority; 79% of consumers weigh guest reviews as much as recommendations from relatives, and one study from the UK found that 47% of guests have abandoned plans to stay in a hotel after reading a negative review of the establishment. The same study also revealed the most common hotel guest complaints: poor cleanliness, too much noise, rude or unhelpful staff, faulty equipment, and bad décor. 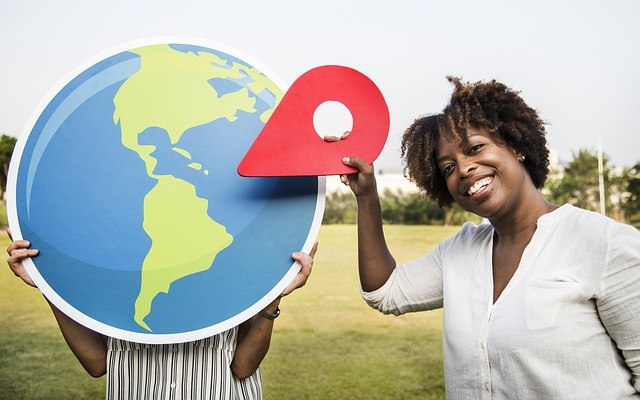 Attending to these areas are key to keeping that five-star rating on Google and TripAdvisor. But even the most conscientious staff makes an error from time to time. How can hotels keep guests from airing their grievances online when something goes wrong? When disaster strikes, take note of these tactics and tips to avoid negative guest reviews online. A guest’s first impression sets the direction for their stay overall. When you wow them with a memorable experience from the beginning, guests will be more forgiving of slight imperfections down the line. Think of it a golden first impression as “oops” insurance. The opposite is just as true. A bad first impression puts the entire experience in a negative light, and further problems only dig the hole deeper. Do everything necessary to impress your guests from the moment they set foot in their rooms. The linens are completely clean and fresh; the mini-fridge is stocked with complimentary refreshments; the bathroom is immaculate. Whenever possible, deal with negative feedback from guests in person rather than online. Don’t wait for them to publish a scathing review when they get home; find out how feel at the earliest opportunity. Ask guests if there’s anything you can do to improve their experience throughout their stay, and when they check out, ask what you can do to make it better the next time. Letting people vent their concerns face-to-face is often enough to avoid negative guest reviews online. It’s important to provide an outlet for guests who didn’t get a chance to share their negative feedback in person, and preferably one that’s not public. Create a section on your website where people can write to you about their experience. If your hotel emails guests to request feedback after check-out, include two different links: one for positive feedback, leading to a social media page or TripAdvisor (“Would you recommend us?”) and another for negative feedback, leading to your private complaints form (“Any problems during your stay?”). This can help to avoid negative guest reviews in public. Managing expectations is a big part of avoiding negative guest reviews. If the hotel experience doesn’t live up to what’s advertised online, it’s sure to fuel the kind of disappointment that leads to bad reviews. Everything on your website and social media should give an accurate impression of the guest experience. When the décor changes, upload recent photos that demonstrate it. If the pool is closed for the weekend, note it on your website and social media pages. Ensure that the advertised hours for check-in and check-out, restaurants, and gift shops are up-to-date. In short, make sure that the only surprises for guests are positive ones. In the end, some negative reviews are inevitable. That’s not necessarily a bad thing. All customers want to feel empowered and well-informed to get the best value for their money. They want the full picture. Hotel guests are no different. If an establishment has only positive reviews, it makes guests feel like something’s missing, and they’re not going to book if the place seems too good to be true. What’s important is that positive reviews outweigh the negative ones and that your company responds to negative reviews with courtesy and professionalism. Don’t avoid negative reviews once published. Instead, write a thoughtful response that shows other potential guests that you care. Want to Make an Incredible First Impression? Microfridge is the hotel minibar guests actually want. Forget that tiny minibar that barely cools; the Microfridge has plenty of room for refreshments and an optional built-in microwave. Browse our affordable hospitality products! The Assisted Living Federation of America (ALFA) defines assisted living as, “a senior living option that combines apartment style housing, organized social interaction, and private duty support services as needed.” An assisted living facility has resources to aid with daily activities such as bathing, taking proper medication, eating meals, and transportation. Sometimes, this a long-term care option is for adults who cannot live fully independently but only need assistance with some factors that come with aging. For many seniors, assisted living provides just the level of care they need to flourish and triumph in their new phase of life. Now that we are bit more familiar with assisted living facilities, does your loved one sound like they would be a good fit for assisted living? Here are some of the important factors to consider when choosing the best fit. Assisted living facilities are usually communities ranging in size from 25 to 120 residents. The types of housing options depend on the residents’ level of independence and they care they require. Some facilities have a range of options to help people stay in the community as their needs change over time. For personal space, you can choose from single or shared rooms or personal apartments. Residents have their own TVs, mini fridges, and other personal items, along with privacy that comes with their chosen rooms. Otherwise, the common areas are shared among everyone. As time goes on and needs change, you can add on more care services or make the transition into a more supportive or health-focused facility. These could be from nursing homes, dementia/Alzheimer’s care, or hospice care. Costs vary based on factors such as unit size, location, and available services. Another thing to think about: some places may charge a flat rate that covers many basic services, while others may charge a fee for each service that you can build on. Although most people have planned for assisted care down the road, many don’t know how much it can cost until they start looking. Fortunately, there are many ways to pay for senior housing, ranging from government resources, reverse mortgages, long-term care insurance, and private pay options. Now that we have discussed costs and factors associated with differing levels of pricing, what exactly are those factors? It is important to research and investigate different assisted living facilities, as locations vary with their offerings. Service can include assistance with daily living activities, housekeeping, social services, laundry services, dining programs, transportation, and exercise activities. 24-hour service and security are available in many assisted living communities, but it is important to look into the number of staff members relative to the size of the facility. This can ensure that these and emergency services can be delivered to the highest quality promised. All this information is relevant when thinking about looking into the right assisted living community for your loved one. The AARP has published an excellent checklist for what to look for when visiting any facility. If you have chosen a facility for your loved one, we offer senior-living-suitable refrigerators for private rooms. The face of older adulthood is changing. With a rapidly aging population (there will soon be more seniors than children living in America), our perspective on life after 65 is evolving in important ways. ‘Assisted living’, once synonymous with white walls, meagre meals and sparse amenities, is gradually changing for the better. These are a few of the outdated assisted living trends we’re glad to finally leave behind. Aging doesn’t unfold the same way for everyone. Today, more assisted living communities are being built to enable seniors with varying needs to live independently for as long as possible. There is a wider range of housing options, from full apartments to smaller suites for both assisted and semi-assisted living. Communities incorporate universal design principles to welcome adults of all abilities. Amenities like the MicroFridge offer safety and convenience for seniors who wish to dine alone or with guests in their own space. In the past, assisted living facilities focused mainly on providing the necessities, with little thought towards recreation or personal development. That’s finally beginning to change. The desire to live, learn and explore doesn’t end at 65, and more people are recognizing the benefits of discovering new skills and hobbies well into the later years. Nowadays, many senior communities offer classes on things like yoga, painting, dance, music, and exercise. Moving to an assisted living community used to mean stepping away from community life. Fortunately, organizations and communities are beginning to work together to ensure that older adults remain part of the cultural fabric. Location plays a big part in this. Senior communities of the past were often built on the outskirts, where land is cheaper and more widely available. Now, there’s a welcome shift towards incorporating assisted living into existing neighbourhoods with parks, libraries, stores and transportation services. Meal planning has always been a challenge in senior communities. How do you satisfy so many different dietary preferences and needs all at once? The result was typically a limited menu of bland, low-fat, low-cholesterol meals. Today’s assisted living providers have found a better solution. Rather than the old cafeteria-style model, more communities are taking a restaurant-style approach to dining, offering custom-made meals drawn from a variety of cuisines. Many also offer suites with kitchenettes and safe appliances to allow seniors to cook and dine independently. As assisted living trends have progressed, so has the language we use to discuss it. The term assisted living is itself a step forward from clinical words like nursing home and senior facility, which painted aging as a condition rather than a natural branch of life. Instead of beds or units in a senior community, we use words like suite or apartment to acknowledge these spaces as somebody’s home. Language is powerful. Although words alone won’t change assisted living trends, they play a big part in shaping our views, and they help promote dignity and respect for the aging process. Moving to an assisted living community isn’t the end of a life story – it’s just another chapter. We’re proud to make appliances that help to empower independent living at all stages of life. Most people can’t wait to be on vacation. What they don’t look forward to is getting there. Long car rides and plane trips aren’t always a breeze, especially when there are kids along for the ride. Fortunately, there are more ways than ever to keep children entertained while travelling. We’ve crowdsourced a few of the best games, gadgets and activities parents have invented to keep kids busy on the road. Little ones aren’t so in-tune with the passage of time, but they do understand (and love) a good countdown. That’s the brilliance of this blogger’s travel countdown game. Then, reward their patience with a small snack and an activity for the next leg of the trip. The treat probably won’t keep them busy the entire hour, but that’s not the point. The point is giving them something to look forward to and a clear idea of how long is left in the journey. This one’s a favourite of parenting blogs around the web, and we’re big fans as well. Here’s why. Most kids can occupy themselves with paper and pencil crayons for at least a little while. Problem is, there’s no good work surface in the car. Trying to draw on your lap is frustrating at any age. The solution? Put a rectangular baking sheet on top of a pillow for an instant kid-size lap desk. This gives kids a surface on which they can play with toys, colour and draw, stick stickers, or sculpt clay. If you’re not inclined to do-it-yourself, there are products out there that do the same thing (just search “travel lap desk”). LEGO can burn hours of time, but it’s not exactly travel-friendly. This awesome, easy tutorial changes that. All it takes to turn an old lunchbox into a portable LEGO set is a flat ‘ground’ piece, a few mounting squares, scissors, and a sanding sponge. There’s space for an assortment of random pieces or a small building kit with instructions. Either way, building something is an excellent way to occupy a creative kid’s mind. Ask any frequent traveller how they pass the time these days and you’ll hear a common answer: podcasts. For especially long trips, there’s also the world of audiobooks. If you’ve been waiting for a chance to introduce the kids to your favourite childhood book series, here it is! We’re all for cord-cutting on family vacations, but face it: sometimes, you need the peace and quiet that comes with giving kids a tablet. Invest in a portable, wireless hard drive that can stream to mobile devices. Save your children’s favourite videos to the hard drive from your computer. Download the drive’s respective mobile app to your device, if necessary. Make sure the drive and the tablet are both fully-charged and pack their power cords. When the need arises, give your kid the tablet and stream on. How Do You Keep Kids Entertained While Travelling? Every parent will find different solutions that work for them. Do you give your children expensive gadgets, or keep them busy with old-fashioned games and activities? We’d love to know! By the year 2020, the generation known as millennials (born between 1980 and 2000) will make up 50% of all the world’s hotel guests. This fast-shifting customer base, along with growing competition from the sharing economy, has forced the hospitality industry to adapt. No longer are things like free Wi-Fi and refreshments luxuries; now, they’re among the things all guests expect to find at a hotel. Vacationers may be eager to disconnect from their everyday lives, but that doesn’t include the internet. For business travellers, high-speed access is a must. Hotel guests want to stay connected, and 40% of them worry about internet connectivity when booking a room , according to a survey by hotel reservation site Booking.com. Not only guests expect a hotel to have wireless internet, they want it for free. In 2016, 98% of all hotels offered in-room internet, but only 9% billed guests for the privilege. To most people, charging for Wi-Fi is now as absurd as charging for miniature shampoo. Based on their colourful social feeds, one might assume the up-and-coming generation of travellers wants a trip full of ‘authentic’ experiences and heart-pounding adventure. However, surveys show that doesn’t necessarily extend to their hotel stays. When Booking.com polled over 12,000 travellers last year, they found that most people sought a comfortable (air-conditioned) environment in a safe neighbourhood above all else. This preference carried across ages and nationalities. When the mini-bar first hit the scene back the 1960s, guests were in awe. However, as time went on (and hotels took drastic measures to monitor snack and beverage use) mini-bars gained a bit of a sour reputation. No longer do guests expect a minifridge full of overpriced water and candy bars. They appreciate a small fridge with a few complimentary refreshments and room to store their own. Facing competition from short-term rental homes, many hotels have upgraded the hotel minibar to a combined microwave and fridge that gives guests even more options. The digital age has opened our eyes to the boundless cultural experiences that exist in the great, wide world. Guests are increasingly aware of the possibilities outside the confines of their rooms, and they want to stay somewhere that’ll help them experience it. More and more hotel brands are responding to this desire through experiential offerings. The Waldorf Astoria has its Unforgettable Experience packages, which include local experiences like camel rides and dinners in the desert. Marriot Rewards is opening its PlacePass system to members, allowing them to book local experiences that begin at the door to the hotel. Wyndham Hotel Group’s rewards program offers street food tours, safaris, local cooking classes, and more. These are just a few examples of how the hospitality industry is responding to the changing view of what a hotel stay should be. It’s true: today’s guests expect the hotel to be more than a place to sleep. But in no way does that make the quality of their sleeping quarters any less important. A 2017 survey of American travellers asked guests to rank different hotel amenities in terms of importance. A full 92% of respondents put comfortable beds near the top of the list. People have come to expect hotel rooms to have exceptional-quality beds, sheets, and pillows. Many luxury linens are even marketed to consumers as Hotel-Quality! Any hotel that fails to meet this most basic obligation is sure to disappoint. We can’t make your guests’ beds for you, but we can help you provide the best possible guest experience. Microfridge has a range of appliance products designed for hospitality, including the namesake combo Mircofridge. Contact us to learn more! The 1960’s ushered in a golden age for the hotel industry. Between the post-war economic boom, increasing urbanization, and expansion of social benefits like holidays, travel was more accessible than ever to the average American family. The response was a surge of new hotels in the United States, with over 2,000 motels and 80 hotels built in the year 1962 alone. Looking back, it’s astounding how much the hospitality industry has changed since then: everything from keys to check-in to décor, and even hotel mini-bars. These are a few of the most notable ways hotels have changed since the 60’s. When was the last time you unlocked a hotel room with a real key? If you travel mainly in North America, it’s probably been a while. But in the 60s, the front desk clerk handed every hotel guest a genuine metal key. Room keys often came with a handy plastic fob that listed the hotel’s name, its address, and the key holder’s room number. Many also included a pre-paid postage stamp. Why? So that guests who forgot to turn in their key on check-out could easily mail them back. Today, most hotels use computerized key cards. Since they’re reset after each stay, these keys provide far greater security (no sneaking back into a room once you’ve checked out.) But there may come a day where key cards are also obsolete, as many hotels already use mobile phone apps as temporary room keys. Hilton is already using it in 1,700 hotels in Canada and the UK. The 1960’s were bold times in the world of interior design. Call it eye-catching or call it an eyesore; either way, the hotel rooms of the 60s were FULL of colour. The famous Biltmore in California even offered guests their choice of room in floor-to-ceiling blue, green, orange, yellow, or purple. It was fun while it lasted. Today’s contemporary hotel rooms tend to take a subtler approach, sticking to subdued colour palettes, white linens, and a few modest color accents. Of course, not everyone is scared of a little color, and many short-term rentals and BnBs have stepped in to fill the creativity gap. The 1960s were a new era in hospitality. Gone were the days when more travelers could expect little more than a cramped cabin with a bed and a desk lamp. Hotel rooms finally had televisions (some even in colour! ), quality furniture, and the most iconic hotel perk of all: the mini-bar. Invented by a German company called Siegas, the mini-bar was an instant hit with guests and hoteliers alike. Who among us hasn’t succumbed to the temptation of a hotel fridge snack in the late hours of the night? Of course, it wouldn’t be long before those early mini-bars became known for finicky sensors and overpriced good. With the rise of short-term rental services like AirBnB, hotels have had to step up their game in the amenities department. Now, many hoteliers are moving beyond the simple mini-bar, adding empty mini-fridges guests can stock with whatever they please. Guest-first hotels are even adding combination appliances like the Microfridge, an all-in-one mini-fridge and microwave. There’s lots to love about the 60’s approach to hospitality: the flashy signage, the crazy designs, and the tactile enjoyment of an actual room key. But there’s one place it definitely falls short, and that’s security. For one, many hotels used key cubbies. When guests left for the day or checked out, they were expected to leave their room key with the desk clerk, who would place it in a cubby behind the front desk. This was a great way to tell which rooms were occupied before the computer age, but it was also a serious security issue, since anyone could see at a glance which rooms were occupied. Then there was the guest register, a book where the desk clerk jotted personal info about everyone who checked in. It was not something you’d want to end up in the wrong hands. Fortunately, today’s travellers have the benefit of key cards and encrypted computer databases to keep their personal information (and belongings) safe. Imagine checking into a hotel simply by filling out a brief registration form — no credit card, I.D. or deposit required. That kind of generous hospitality is hard to find these days. But as late as the 1970’s, it was possible to walk into a hotel empty-handed, stay the night, and pay on the way out the door. Maybe it’s for the better that hotels are stricter these days, but it’s hard not to wonder if everyone was a bit easier to trust back then. Seasoned travellers know that even the best-laid plans can go awry. You can’t always see trouble coming your way, but you can prepare for it. Consider making room in your luggage (and calling the hotel) to ensure your room is stocked with these essential travel items. Foot blisters, sunburns and stomach aches might not be serious enough for a trip to the doctor, but they can interrupt your vacation time. It’s smart to pack a small first-aid kit with remedies for common travel-related ailments. A first-aid kit is especially important to bring if you don’t speak the local language. A language barrier can make it very difficult to find a particular medication. Consider packing medicine for nausea, headaches, and allergies, along with bandages and creams to treat minor cuts and blisters. Ever notice how lost buttons, skewed zippers and ripped pants seem to happen a lot more often on vacation? The solution is a small, travel-size sewing kit. Think of it as a first-aid kit for your clothes. You can buy kits at dollar stores or make a travel sewing kit yourself. Don’t forget to include safety pins! They can make great emergency swimsuit clasps. While it’s important to minimize single-use products, wet wipes are an essential travel item to have in a pinch. They’re great for wiping away sweat, wiping down tables, cleaning your hands on the go. Back at your hotel, disposable wipes are useful for sanitizing switches and knobs, or a sticky TV remote. Plus, if there’s one law of travel, it’s that you can never count on public restrooms to have toilet paper. Wet wipes can be a life-saver in these circumstances. It’s not something you can pack, but a mini-fridge is something you’ll want to have in your hotel room. Why? Because it saves you in the event that you (or your kids) doesn’t take a liking to the local cuisine. With a mini-fridge, you can buy healthy, ‘safe’ foods at the local grocery store and keep them in your hotel. A hotel room mini-fridge also thwarts the temptation to dine out at restaurants for each meal, making it an essential travel item for anyone on a diet or a tight budget. No one wants to come home to a musty hotel room. Unfortunately, it happens, especially if you wind up in a smoking room. If the linens and carpets aren’t smelling their best, spritz them with an odour-neutralizing linen spray. It’s a temporary solution, but it’ll do for a temporary stay. Most travellers have switched from physical to digital maps, but there are benefits to having a genuine hard copy on hand. Wi-Fi and phone signals can cut out, electronics can break, and blackouts can shutter access to power. Physical maps are dependable. You don’t have to diminish your experience to save money while travelling! We’ve assembled practical tips to help you save on five of the biggest travel expenses: transportation, lodging, food, excursions, and shopping. The average family spends about 44% of their travel budget on getting to (and from) their destination. Flying is most expensive way to get around, with cruise ships at a close second. These expenses are unavoidable if you’re travelling overseas, but there are ways to spend less on vacation transportation. Timing is important when it comes to airfare. The best time to buy plane tickets is 8 weeks before the day of your trip; the most expensive times are when the flight is announced and two weeks before takeoff. Buy early, but not too early. Travel off-season. Airfare rises and falls with seasonal demand. You’ll save money while travelling in the off-season, like the weeks immediately after a big holiday or celebration. At your travel destination, take the scenic route. Planning to travel by taxi? Know that the most direct route is usually the most expensive. Consider using public transportation and commuting by foot when you can. You’ll save money and get a more immersive experience of your destination. One of the best parts of travelling is indulging in local cuisine. But those meals add up fast. More than 80% of the average traveller’s food budget is spent in restaurants, bars and cafés. Here’s how to spend less while still getting a taste of the culture. Stock up on food at local markets and grocery stores. Store it in the micro-fridge in your hotel room. That way, you can enjoy at least one fresh meal a day in your hotel room without paying the restaurant premium. Be sure to request a room with a micro-fridge when booking your hotel. Dine outside of tourist areas. Restaurants are always more expensive in touristy areas, and they aren’t necessarily the best your destination has to offer. Instead, try an out-of-the-way spot with a positive rating on sites like Yelp and TripAdvisor. Hotels are another significant expense, especially in major tourist destinations. Fortunately, there are lots of options for travellers who want to spend less on a bed and a roof over their head. Avoid ordering room service. In most cases, the convenience isn’t worth the added cost. If you’re known to indulge in a midnight snack, store something tasty in your micro-fridge instead. Always compare prices – but do it incognito. Some hotels and booking services use your browser history to manipulate the prices you see. Turn on your browser’s incognito mode to avoid price hikes. Stay with friends and family when you can. Don’t hesitate to ask your acquaintances abroad if they’re willing to let you spend a night! The cost of excursions, entertainment, and activities vary widely across different destinations. In any case, these “things to do” amount to a major portion of travel expenses, especially for families. Planning ahead can help keep these costs manageable. Buy a multi-excursion package deal/pass. Many tourist destinations offer package deals that bundle various popular stops into a single purchase. The Toronto CityPASS, for instance, includes visits to the CN Tower, Casa Loma, the ROM, Ripley’s Aquarium, and the Zoo or Science Centre. Choose destinations where the location itself is a trip. You don’t have to pay extra to see incredible sights in historic cities like Rome, Paris, or even Quebec City. The same goes for sunny destinations with public beaches. Prioritize the excursions you really want to do. Don’t feel compelled to hit every iconic tourist spot in town. Focus your time and money on things that matter to you. Many people find that seeing a live show or going hiking creates more lasting memories than touring the same monuments they’ve seen hundreds of times on TV. Shopping isn’t a huge travel expense for everyone, but some of us just can’t resist the draw of souvenirs and duty-free. Keep these things in mind if you know you’ll want to shop on your vacation. Avoid shopping near major tourist attractions. The more foot traffic the area receives from tourists, the more vendors can charge for their goods. The same goes for restaurants. Use credit or debit whenever possible. Paying with plastic gets you better exchange rates compared to paying with cash and gives you recourse in the event that the product is defective or the service a scam. Don’t buy specialty products you don’t know much about. Most people know better than to blindly trust a salesperson back home when they claim a product is top-of-the-line — they go online and research the product first. The same should apply to products purchased on vacation. If a vendor claims a product is special or high-quality, verify before you buy. Small but mighty, mini-fridges have all the benefits of a full-sized unit in a pint-sized space. They’re perhaps best known as a dorm room staple, keeping home-cooked leftovers and tasty beverages cool for hungry college students. But it’s time to think beyond the dorm! There are many ways these versatile appliances can make life more convenient. Here are a few other cool ways to use a mini-fridge you may want to try! Do you spend most of your days working at a desk? If so, a mini-fridge can be a solid addition to your workspace. Use it to store homemade lunches, coffee, cream or milk, snacks, or drinks. Having a mini-fridge at your desk will keep you well-fed and hydrated throughout the day, without the need to use that germy water-cooler or nasty lunchroom fridge. Stock the mini-fridge with healthy snacks to avoid the temptation of the office vending machine. Mini-fridges are great for home offices as well, since they save you a trip to the kitchen (and its many potential distractions). There’s nothing like eating your very own homegrown produce. But when it comes time to harvest, your fridge becomes full to the brim with fresh fruits and vegetables! Make room for more with a mini-fridge in your pantry or garden shed. The same goes for eggs from backyard chickens! Managing food allergies can be a challenge, especially when it comes to kids. When a child has a food allergy, families do their best to keep the foods in question out of that child’s reach. But what about food that needs refrigeration? You can keep allergens on their own shelf in the fridge, but they will still be in close quarters with the rest of the food. There’s a better solution: keep foods containing allergens in their own separate mini-fridge. A mini-fridge can easily fit a carton of milk, eggs, peanut butter cups, or other common culprits for food allergies. No one likes it when thirsty party guests rummage through their kitchen fridge. They may be your friends, but they don’t need to know about your emergency cheesecake stash. Instead, get a mini-fridge to use as a designated drink fridge for your bar or rec room. Your beverages will stay cool, your guests will be happy, and your party will be way more organized. Sure, a full-sized fridge is great. But it’s not exactly mobile. A mini-fridge, on the other hand, can go just about anywhere if there’s a place to plug it in. You could stock your workshop or garage with choice beverages, or indulge in snacks by the poolside. A mini-fridge can make your car-camping experience all the more convenient. The potential ways to use a mini-fridge are limited only by your imagination! Sometimes, even just going to the grocery store with your kids can be a hassle. Traveling is the dream for many, but it might seem like an impossibility to travel with kids. It is doable, however, and here are a few tips to make it a bit more manageable. Nothing takes the wind out of your sails like lugging around half your belongings, plus the kitchen sink. When packing, be ruthless. Only pack what you know you will need, not for every eventuality. Yes, it’s good to be prepared, but if you’ve packed to make sure your outfits always match, it’s time to rethink. This goes doubly for children. Kids tend to pack things they don’t need and forget the things they actually do need. Your best bet is to do the packing for them. What’s worse than being stuck out for the day and being too cold or too hot? Having a child that’s miserable from being under or over-dressed. You either need to make sure everyone is dressed properly when they leave or can change to suit the weather. If it’s cold but likely to warm up, make sure everyone has some way to carry their extra layers as they shed them off. When traveling, it’s common to want to see as much as possible in a short amount of time. Plan your routes to make the most of every outing. Your hotel concierge should be able to point you in the right direction for sights and attractions that would be fun for kids as well as adults. Some kids need structure to enjoy themselves, so a bit of planning can go a long way. Going anywhere with kids, whether you’re travelling or not, can take longer than you expect. Children are easily side-tracked, and it’s important to allow time for them to explore and learn on their own. So, add a few extra minutes here and there to stop for food, bathroom breaks, or other unexpected detours. While it’s good to have a plan and stick to it, kids can be completely unpredictable. They may get tired, or they might see something they just have to go and check out. This tip ties into the previous and will help you to avoid stress. Don’t be afraid to switch things up. Sometimes the best vacation memories happen from a spur of the moment decision. Kids love things like trains or buses. And there’s no better way to soak in local culture than immersing yourself in the way they get around. Buses and trains tend to take circuitous routes, so sit back and watch the new locales and streets pass by. You might even see something you’ll want to hop off and check out! Keeping your child busy with a project is a great way to protect your sanity. Give your son or daughter a camera—a basic one can be found super cheap—or even just a notebook and pen to log every sight or memory. They’ll have fun, and they’ll also build something they can take for show and tell and keep as a souvenir for the rest of their lives. One of the biggest challenges of staying anywhere other than home is not having the amenities that you’re used to. This is doubly the case with kids. Having an all-suite hotel room means you’ll have extra room for the little ones to spread out and play, and mom and dad don’t need to stress about taking the kids out for dinner. With an attached fully-equipped kitchen, an all-suite room means you’ll have a home away from home to cook those family recipes that your kids are used to. Traveling with kids doesn’t have to be a nightmare! Just remember a few of these tips and you’ll be sure to have an amazing time seeing the world with your family.